Providing plumbing, heating repair, drain cleaning, and kitchen remodeling in Wenonah, NJ. Residents and business owners in Wenonah, NJ area can count on Pennock Plumbing and Heating to get the job done right the first time. Call (856) 853 – 5060 or CLICK HERE for your FREE estimate. 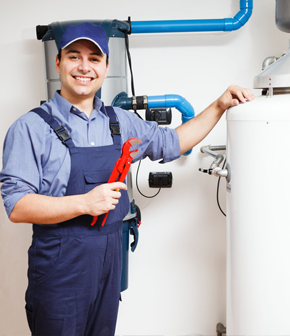 Water heaters have come a long way in terms of energy efficiency lately. Ask us about any current highly efficient engergy star water heater. Not only will you save money monthly, many offer substantial tax credits. Still have one of those 3.5 or 5 gallon flush toilets in your home running and wasting water? You can save money by switching to a high efficiency toilet. They use much less water without losing the flush. STOP wasting water and contact us today to see how much money you can save! Is your kitchen or bathroom outdated? Unhappy with the look? Schedule an appointment and let's talk over ideas to update your kitchen or bathroom. Backed up sewer? Kitchen or bathroom sink drains running slow? Call us today at (856) 853 – 5060 or contact us and we'll take care of the problem. We have the proper machines to get the job done right. In need of a new gas line ran? We're capable of threading pipe up to 4". All of our guys are all trained to pour lead joints, a dying part of our trade. Fill out the form below or call us at (856) 853 - 5060. Copyright © 2016. Pennock Plumbing & Heating, LLC. All Rights Reserved.